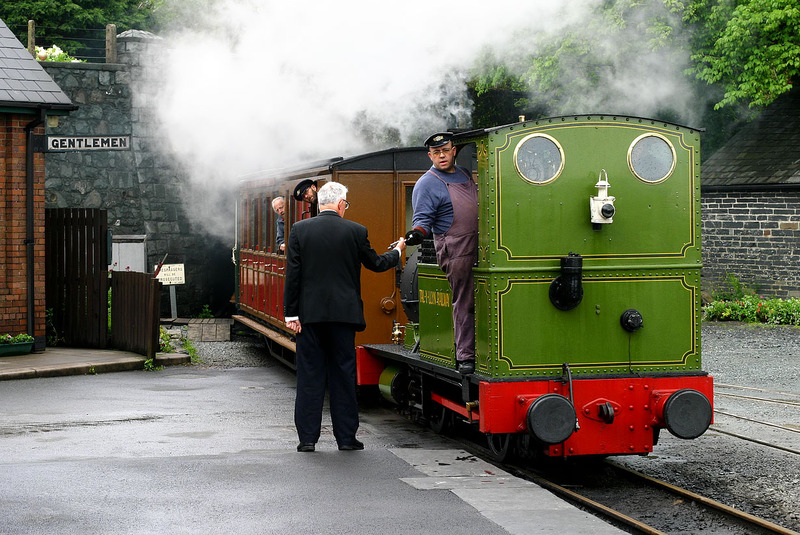 Token exchange at Tywyn Wharf, on the Talylln Railway. Fletcher Jennings & Co 0-4-0WT 2 Dolgoch arrives with the 11:35 service from Nant Gwernol on 20 May 2006. This is one of the line's two original locomotives, and the only one that was operational when the preservation society took over in 1951.